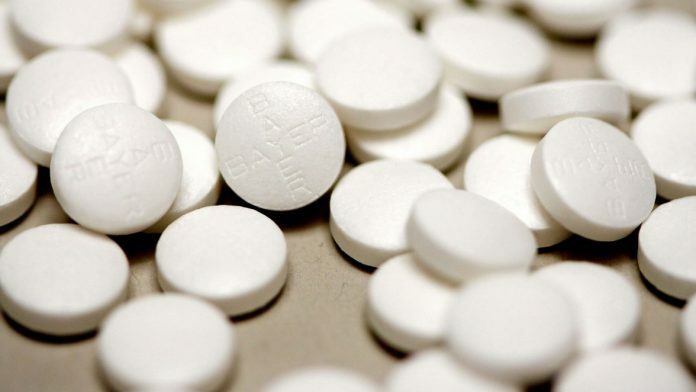 Two American heart associations revise guidelines, urging the healthy elderly to stay away from Aspirin — a blood thinner used to prevent heart attack. New Delhi: The American College of Cardiology and the American Heart Association have issued new guidelines on the use of Aspirin — the well-established therapy for the prevention of heart attack — urging healthy elderly people to stay away from the drug. The new guidelines, issued Sunday, emphasise on lifestyle changes rather than the consumption of Aspirin for healthy, old-aged people but add that “select high-risk patients” should take “low dose aspirin for primary prevention”. They are based on two studies published in The New England Journal of Medicine last October. Both the studies are by the same researchers and relied on the same sample size. The researchers surveyed over 19,000 people who were 70 years of age or older and did not have cardiovascular disease, dementia, or disability. Around 9,525 people were assigned to receive the low-dose of aspirin of 100 milligrams. The results were published in two papers. In one of them, titled Effect of Aspirin on Cardiovascular Events and Bleeding in the Healthy Elderly, the researchers state that Aspirin’s role in the primary prevention of cardiovascular disease is unclear, especially in low risk, older people. “The use of low-dose aspirin as a primary prevention strategy in older adults resulted in a significantly higher risk of major haemorrhage and did not result in a significantly lower risk of cardiovascular disease…,” the paper said. It, however, found that the drug can be used for the secondary prevention of cardiovascular events where the patient has a clinical history of blood clots or cardiac arrests. The other paper, Effect of Aspirin on All-Cause Mortality in the Healthy Elderly, concluded that “higher all-cause mortality was observed among apparently healthy older adults who received daily aspirin”. The researchers found that even low doses of aspirin — 100 milligrams — did not help the healthy older people but probably harmed them. “In the context of previous studies, this result was unexpected and should be interpreted with caution,” it says. Aspirin, also known as acetylsalicylic acid, is used as an analgesic to relieve minor aches and pains. While it is also used to reduce fever and swelling in the body, it is predominantly used as a blood thinning agent. It is sold under several brand names in India such as Ecosprin, Sprin, Aspro, Eprin and Delisprin. Indians bought over 7 crore strips of the medicine last year, valued at a little over Rs 3 crore, according to data with the All India Organisation of Chemists and Druggists, a lobby of off-line pharmacies across India. Doctors in India do prescribe the drug to elderly patients. “Aspirin is a known medicine for the secondary prevention of cardiovascular events,” said J.P.S. Sawhney, chairman of the department of cardiology at the Sir Ganga Ram Hospital. The medicine is ‘mandatory’ for those who already have a history of heart attacks or strokes, said Nishith Chandra, director, interventional cardiology, Fortis-Escorts Heart Institute.